Sheila Nesselbush races for a ball alongside a defender. The senior midfielder has tallied 16 points during the Wildcats’ four-game winning streak. No. 9 Northwestern came into a March 17 matchup against then-No. 4 North Carolina looking for an upset. The Wildcats (9-3, 2-0 Big Ten) had rolled to a 20-9 win over Marquette (7-4) a week earlier and were preparing for their fourth game in a six-game home stretch. NU hadn’t beaten the Tar Heels (8-3) since 2014, and for an instant, it looked like 2018 might be the year that changed. The teams traded punches through the first half, and when a goal from senior attacker Claire Quinn gave the Cats an 11-10 lead with 22:41 left in the second, the momentum was in their favor. But North Carolina’s offense got hot at the right time, and the Tar Heels scored five straight goals late in the second half to prevent an upset and seal an 18-13 win. Since that loss, NU has won four straight games, including three against ranked opponents. NU’s 16-7 win against the Wolverines (5-7, 1-2) was its first in Big Ten play this season. 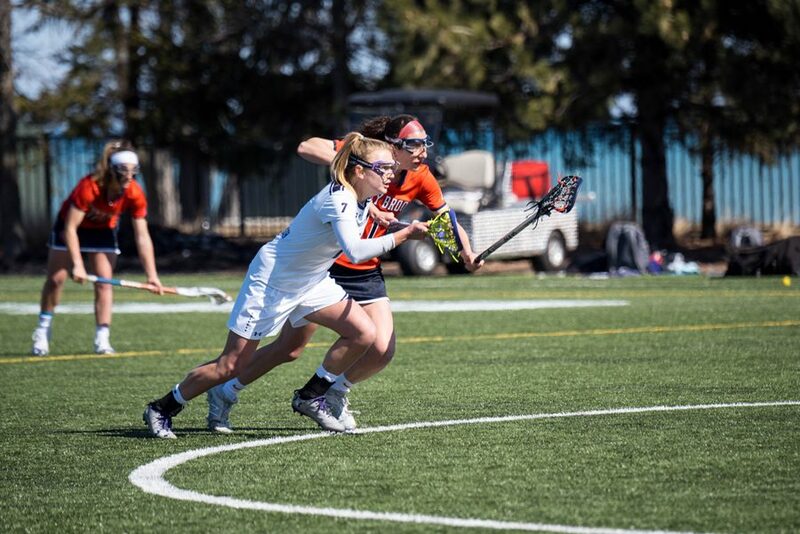 Senior midfielder Sheila Nesselbush finished with three goals, while senior attacker Shelby Fredericks added three assists, two draw controls and two ground balls. The Cats closed their home stretch with a 14-10 win over No. 11 Syracuse (7-5) on March 26. Nesselbush scored a career-high five goals and one assist, and Fredericks matched her season high with 13 draw controls. NU then traveled on March 30 for its first road trip since February to face then-No. 23 Johns Hopkins. The Cats took home an 11-10 win over the Blue Jays (7-5, 0-3) to stay undefeated in Big Ten play. NU was down 10-7 with just over 13 minutes left to play, but rallied to score four straight unanswered goals to end the game. A strong defensive performance sealed the win, as redshirt freshman goalkeeper Julie Krupnick made a career-high 14 saves. The Cats wrapped up their spring break schedule with a road matchup against then-No. 6 Penn on April 1. NU opened the game on a high note, scoring six straight goals to take an 8-2 lead with just over five minutes left in the first half. While the Cats never trailed during the game, the Quakers (8-2) found their offensive rhythm near the end of the second half. Down 11-6 with 14:31 to play, Penn scored five consecutive goals to tie the game at 11 and send it to overtime. It seemed as though, two weeks after the North Carolina loss, another five-goal run was going to doom the Cats. But after a scoreless first overtime period, junior attacker Selena Lasota found the back of the net in double overtime for the game winner, her fourth goal of the game and her 30th of the season. The upset win against Penn pushed the Cats back into the Top 10 for the first time since the loss to North Carolina.